The days of lost or untraceable inventories should be long gone. With effective software systems plus professional management and expertise, the precise location, status, and count of every item in a supply chain should be instantly identifiable. Surprisingly, there are still companies operating with outdated methods. Today the best 3rd-party logistics companies (3PL) employ systems and training that allow for real-time recognition. These methods allow for shorter lead-times, lower inventory levels, resulting in fewer errors, reduce emergency deliveries and can provide transparent interaction between warehousing services and their clients. The solution is a WMS. A Warehouse Management System, or WMS, is the underlying software that facilitates efficient operations throughout the supply chain. The systems track the precise location of each unit from the time it arrives until the product is loaded and shipped to the next destination. When supply chain partners are appropriately aligned, the systems can even track inventory all the way from the producer/supplier through warehousing services to the distribution center or end user. What Kinds of WMS Are There? Warehouse management systems can range in complexity starting with a simple stand-alone system which manages inventory within the walls of a warehouse. The system tracks inventory received through all regular warehousing services of placing, storing, picking, staging and loading. All of the processes are linked to financial systems that automatically generate billing and new inventory information. In many instances, 3PLs have installed mechanized, computer-driven slotting and picking systems that automatically transport products from receiving to designated slots for storing. When required for shipment, the systems can pick products and convey them to a staging area for loading. 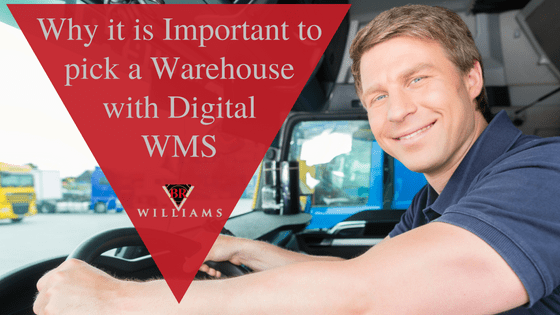 With added portals and collaboration with vendors, sales partners, and clients, the logistics management company’s WMS system can link all internal warehousing services with external data. This capability provides a real-time, 360° view of the entire supply chain that can adapt to product flow rates to accommodate slow-downs or volume surges. This transparency can alert the producer to speed up or slow down production, adjust warehouse inventory levels, and manage delivery volumes and frequencies. 1. Reduce the potential for “lost” inventory. Because each item is assigned a particular warehouse slot and tracked from receiving to shipping, no product should be misplaced. 2. Reduce warehouse costs and enhance employee utilization. More efficient placement and selection can allow 3PLs to reduce labor costs. Combined with mechanized warehousing services systems, more inventory can be managed with less space. 3. Optimize Supply Chain inventories. Storage space is sometimes considered wasted space. Similarly, excess inventory is wasted money. Because uncertainty is eliminated, WMS allows for each stage of the supply chain, including warehousing services, to reduce inventories and safety stocks to optimal levels. 4. Eliminate surprises and emergency deliveries. With the transparency of an effectively integrated WMS, demand changes can be anticipated quicker. As a result, inventories may be adjusted sooner to meet the unexpected shift in demand. 5. Inventory tracking, billing, and financial data become automatic. With a well-developed WMS system, all elements of warehousing services are integrated. When a single order is received the inventory starts to move, invoicing is created, trucks are loaded, and deliveries are scheduled. 6. More efficient production planning and procurement. Through shared forecasting and real-time inventory information, production planning and procurement can become more efficient. Matching forecasts with lead-times and inventories, production and purchasing managers can improve product flows. 7. Cloud-based warehousing systems allow for easy access to crucial information. A warehouse management system can be cloud-based, which allows key personnel to access information with any device from everywhere. With multiple access capabilities, the client, warehouse, and shipping companies can all check the same product and delivery status information in real-time. 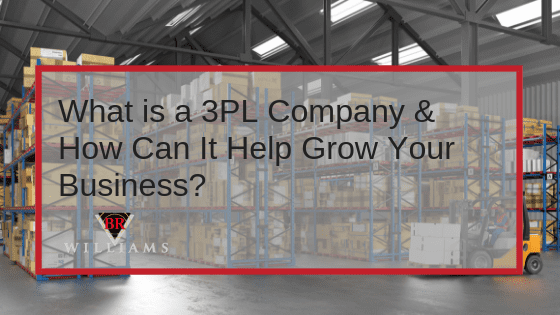 BR Williams provides professional 3PL services to world-class customers. As a supply chain provider with warehousing services, transport, and other logistics support, BR Williams manages all elements of freight movement from manufacturer to the distribution centers or retailers. 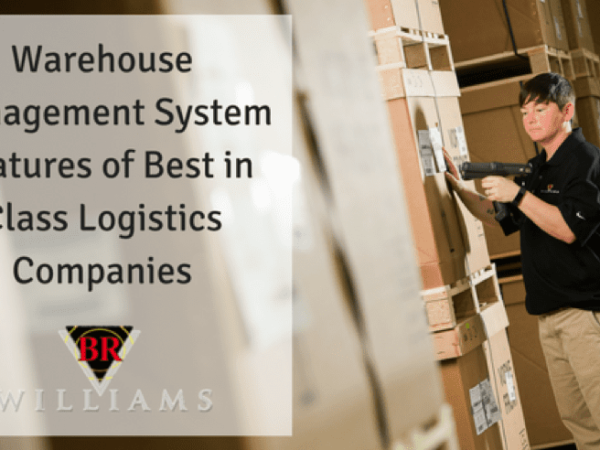 Having a professional 3rd Party logistics company with a WMS, like BR Williams, to manage your inventory, warehousing services, transport, and delivery improves performance, reduces landed costs, and enhances profitability. 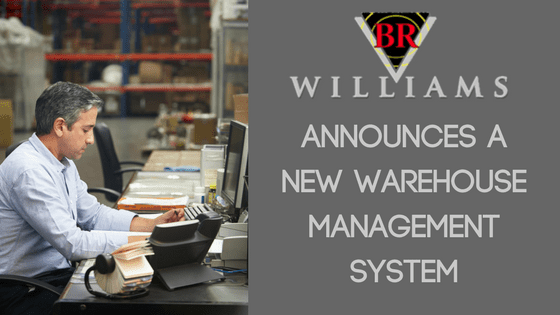 Contact BR Williams for a free consultation to develop a customized logistics plan that eliminates the headaches of lost inventory, poor planning, and late deliveries.